2018 is coming to an end which is crazy! This year absolutely flew by and hopefully it has been a great year for you, and hopefully 2019 will be even better! It’s always a good thing to take some time to reflect on your past year and give yourself a round of applause for some of your accomplishments as well. I wanted to share some of my favorite parts of 2018 with you! Check them out below. 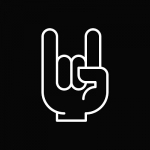 Noise From the Garage: Probably my top moment of 2018 was getting to start my local music show on Rock108! 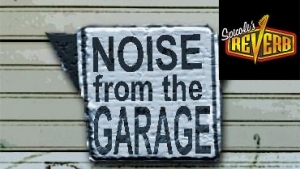 Noise From the Garage is a radio segment dedicated to showing off local bands from all over the Midwest. Starting this segment has helped me find so much amazing new music and connect with some awesome artists from the area. It has been really rewarding giving deserving artists a place to show off their talents! The show is sponsored by Spicoli’s Reverb in Waterloo and that has helped me create an amazing connection with one of the best places for live music Iowa. Join me Sunday’s from 7-9pm for NFTG! 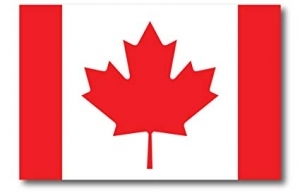 Canada Trip: There is an electronic based music and art’s festival in Canada that I have been eyeing forever. This year my friends and I packed into a van and took a 26 hour road-trip (both there and back) to experience the event. It was absolutely a life-changing experience for me that I will hold near to my heart forever. Concert Photography: Concert photography is a hobby I taught myself about 5 years ago. I have had the chance to photograph some amazing events, but this year I got to photograph some of the biggest name bands! 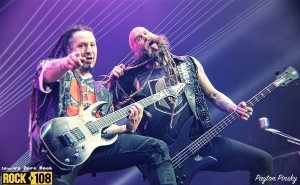 You can check out photo albums for artists like Five Finger Death Punch, Shinedown, Breaking Benjamin, and so many more under my blog section and on my facebook page! Weight Loss: I have never been extremely over weight, but around this time last year I was weighing the most I ever have and started feeling uncomfortable in my own body. I decided it was time to become friends with the body I am in and I found some ways that I enjoy keeping my body active that have helped me feel more comfortable in my skin again. I have been vegetarian for over 6 years now and have been working this year on transitioning to vegan as much as possible which has had amazing results on my mental and physical health!